If you have filed a trademark, you have taken the first step. But, most trademarks go abandoned accidentally. Don't lose your trademarks over neglect. Never miss a date! Professionals use expensive software to ensure that they protect their clients' marks. You can do the same with Trademark Bank. Did you know it is your duty to monitor your trademark for infringement? That means you need a Watch service to find out when someone else files a similar mark. Watch services can cost $160 to $700 per year for just watching one search string. With Trademark Bank, you get a watch included with our Basic plan, and up to 20 watches with our Premium plan. Wether you are an individual with one trademark, or a small company with a dozen marks, you can use our Premium plan monitor and watch for infringement for a fraction of the price of competing services. Marks: How many marks do you own? Trademark Bank's flexible plans let you start with a simple plan for single-trademark owners. If you only own one trademark, then you may only need the Basic plan. If you own more trademarks, upgrade to the Premium plan for just a little more and you can track more of your marks and also add more Watches. Watches: Even if you only own one trademark, you may want to keep an eye out for a few other names, slogans or variations. Watch one search string with our Basic plan. You'll get an update by email every time a mark is filed or has a change of status. Watch for variations of your trademark, and be ready to oppose trademarks that are similar to yours. Attorney docketing, created by attorneys for attorneys! Trademark Bank is fully automated. Plug in a serial number and we do the rest. Docketing your clients' marks has never been easier. Don't rely on your calendar alone. Your malpractice carrier requires more. Your clients deserve more! But, you don't want to use complicated software that requires a paralegal or staff person, right? Trademark Bank makes your job easy. In fact, our status update emails will tell you exactly what the status means and what you need to do about it. Our software is perfect for solo corporate or patent attorneys with small dockets, but powerful enough for firms that manage a thousand trademarks or more. What makes Trademark Bank the best value on the market? The Watch service. Don't pay $180 per year just to watch one mark. Don't pay the big services $700 per year per mark! Watch all of your client's marks as part of your low subscription fee. It's part of your docketing with Trademark Bank! Watching and reporting potential infringement is not only a service to your clients, but source of ensuring that you help your clients make decisions to protect their marks. Search: Use Trademark Bank for quick and easy searches that are more intuitive than the USPTO database itself. Yup, we have all of the records right here. In fact, use our advanced boolean search tools to mine the USPTO data as part of doing trademark searches for your clients. We'll be adding pro features down the road, so keep checking back, or even email us if you have a feature request! Marks: Manage hundreds, or even thousands of marks with Trademark Bank. Watches: Creating a Watch service with Trademark Bank is as easy as creating a search. Use our advanced search tools to search the USPTO record, once you find the search result you want, just click "make this search a Watch" and you'll get an email each time there's a match in the daily data. Export Data: You'll be able to generate simple reports in Excel with the click of a button. If you want advanced tools like tagging and clients, our Pro Premium plan lets you search and sort by tag and client, and then generate a report from the results. Attachments: What makes Trademark Bank more powerful than its competitors is an easy, yet powerful tool to attach documents that are associated with each mark. Keep copies of trademark refusals and responses, client reporting letters and client responses as well as other correspondence. Notes: Need to remember what you were told by a client? Add a note! You can add notes with instructions for future reference. 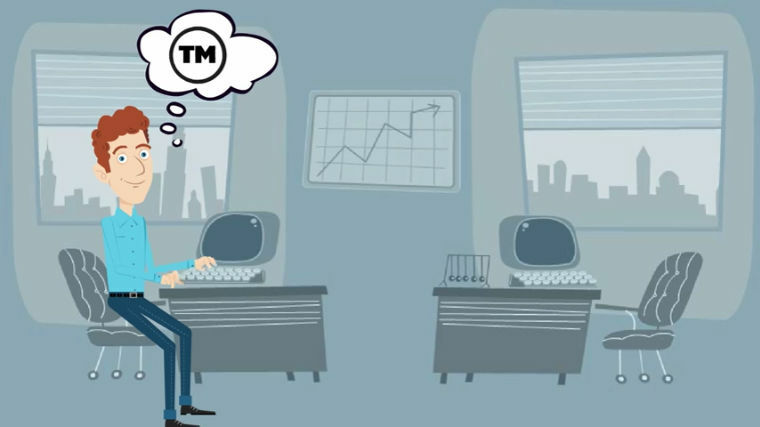 Tags: Trademark Bank lets you create tags to associate with one or more marks. You might create a tag that reminds you about the client, a tag for a foreign jurisdiction, or a reference to a project associated with each mark in your portfolio or in your client's portfolio. Use the same, simple tagging systems found on most project management software to create, search and sort by tag. Clients: With Trademark Bank, attorneys can docket their clients' marks and sort by client, tag, or both tag and client. Easily generate reports by client, and export in Excel for simple internal management or for client reporting. Custom Marks: Create custom entries to track foreign trademarks or state trademarks with our custom mark feature. Add due dates and then add reminders to ensure that you get reminded of the due date well in advance.